David Clark has been living in Toronto since 1985. He fishes along Toronto’s harbour and the city’s parks every week all year with a few of his friends. Not every part of the experience is pleasant. “We’re constantly hooking wet wipes off the bottom of the harbour,” he said. Clark is the co-founder of the group Toronto Urban Fishing Ambassadors and a licensed recreational fisher. He says fishable waters are defined by water quality, fish habitat, aquatic habitat, food web, species diversity, and the fisheries they can support—which have been improving in Toronto, according to him. Forty-three areas—12 of which are Canadian—have been identified as having high levels of environmental harm under the 1987 Great Lakes Water Quality Agreement between Canada and the U.S.
For some local environmental groups, that’s a concern. According to a survey done by environmental advocacy group Lake Ontario Waterkeeper, out of 166 water samples collected from the city’s harbour last summer, a third failed to meet federal standards for safe boating and paddling. The group made 10 sampling trips between July 15 and September 27. Samples were taken and tested for the presence of E. coli bacteria at Bathurst Quay, Harbourfront Canoe and Kayak Centre, and the marina by PawsWay. Lake Ontario Waterkeeper founder and president Mark Mattson says the Toronto Harbour is not monitored regularly, so his group did their own monitoring program. He says Lake Ontario Waterkeeper is encouraging the City to monitor other areas of the waterfront where there aren’t beaches. When asked about the Lake Ontario Waterkeeper report, Toronto Water general manager Lou Di Gironimo said he could not comment on data he hadn’t reviewed. 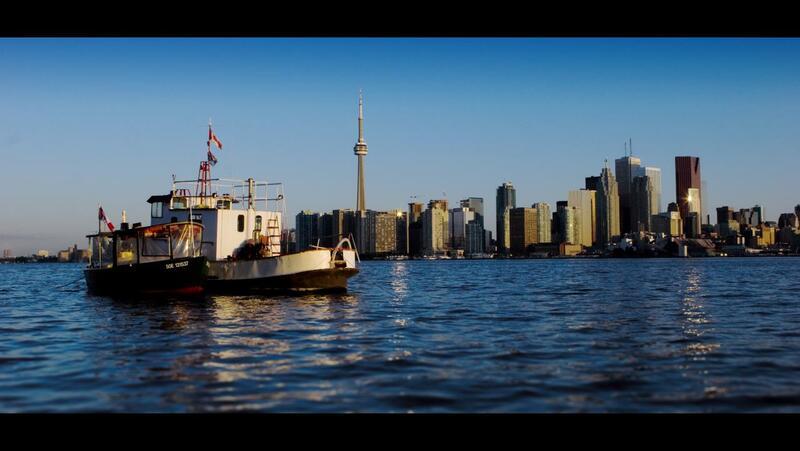 Nine areas of Toronto’s harbour were identified in Lake Ontario Waterkeeper’s investigation where sewage pollution empties into the harbour when the pipes overflow—known as a combined sewer overflow event. Lake Ontario Waterkeeper found heavy rainfall was the principal problem behind the overflows: they say 73 per cent of water tests with high levels of E. coli were samples taken after it rained. Toronto Water spokesperson Ellen Leesti wrote in an email that sampling on the Inner Harbour from 2007 to 2009 showed E. coli colonies at less than 100 per 100 mililitres, which is the maximum provincially accepted standard at an Ontario swimming beach. Aside from food containers, coffee cups, condoms, debris, and other garbage, illegal cross connections may also be the blame for the unsanitary conditions in the harbour. A home can be wrongly connected to a storm sewer rather than a sanitary sewer, which the City checks on through the Outfall Monitoring Program. The program has identified 726 cross connections since 2005. Some of the City’s older areas rely on a combined sewer system where only one pipe holds both sewage and stormwater. According to the City, Toronto has 86 combined sewer outfalls, with about 11,000 km of sewers. Approximately 1,500 km are combined sewers and about 110 km of storm sewers receive CSOs during heavy rain. Lake Ontario Waterkeeper’s Mattson says his group believes there is a combined sewer overflow at Bathurst Quay, where their survey showed significantly higher levels of E. coli. The City is in the process of carrying out a “large-scale modernization” of its wastewater facilities, and it has also installed a network of 14 monitoring stations in its Wet Weather Flow monitoring study to collect water quality data. Environmental monitoring data is collected by MOECC, TRCA, and the City for tracking long-term changes in water quality. Sampling efforts over the past several decades by MOECC and TRCA are based on monthly sampling at designated areas. About $485 million has already been invested into stormwater management projects by the City as part of the Wet Weather Flow Master Plan. Toronto Water’s 10-year (2017-2026) capital plan budget includes $3 billion for stormwater management, including basement flooding remediation and wet weather flow management. The WWFMP is a 25-year Implementation Plan that was adopted by City Council in 2003, and includes a required City-wide downspout disconnection program, the construction of stormwater ponds, and a basement flooding protection program. An additional $2.8 billion is expected to be spent by the City under the plan over the next 10 years. Janet Davis (Ward 31, Beaches-East York) has been very active advocating for water infrastructure improvements, such as lead pipe replacements. She has also spoken out about improvements to sewer capacity and stormwater management through Basement Flooding programs through Toronto Water, as this is an issue impacting residents in her ward. “We’ve fallen far behind on [the WWFMP],” she said. Davis says it has been 14 years since the City adopted the plan, and it’s time to step back and look at how much has been accomplished. At Toronto Water, Leesti said the City did not shift resources or priorities, but because of increased capital and operating budgets in 2013 and 2014, they were able to put new resources towards the Basement Flooding Protection Program. With a $1.55-billion infrastructure renewal backlog, Toronto Water has significant needs compared with other urban centres in Canada. The City plans to invest $551 million in 2017 in infrastructure renewal funding and $6 billion over 10 years. Toronto Water’s recommended budget for 2017 includes an operating budget of $443 million, as well as a capital budget of $859 million. The City will also invest $178 million in wastewater treatment plant upgrades and $306 million in sewer and watermain replacement and rehabilitation this year. As part of the WWFMP, the Don River and Central Waterfront Project was approved by City Council in 2006. Toronto’s Don River and Central Waterfront CSO Control project is expected to significantly improve the quality of lake water along the waterfront. The cost of the 25-year project is $1.5 billion, with the first phase of construction planned to begin in 2018. In the meantime, while Torontonians are using the city’s harbourfront for water activities, there’s still more work to be done. Antonio Lennert is chief experience officer of Surf the Greats, a group that teaches surfing and gives standup paddle board tours of the harbour and Toronto Islands in the summer. Lennert says he can smell the sewage pollution in Lake Ontario on hot and humid days during the summer. “We don’t want to put our clients in danger. When you’re paddling, you touch something, you don’t even know what it is,” he said. Lennert says he has also seen improvement in the harbour in past years, but he still doesn’t recommend getting in the water.